We hope you had a wonderful time celebrating Christmas Day with your friends and family. South Lytchett Manor offers the discerning caravan enthusiast a perfect base from which to explore the beautiful surrounding countryside and a full range of on-site facilities to ensure a trouble-free and peaceful stay in the lovely South West of England. Renowned as one of the best campsites in Dorset our camping pitches reflect the experience and knowledge of our owners, the Bridgen family, themselves experienced campers who understand exactly what makes a great camping holiday. Named as the 2016 Best UK Site for Motorhomes by Practical Motorhome magazine, South Lytchett Manor offers fantastic amenities and a friendly, relaxed atmosphere ideal for holidaymakers with motorhomes in Dorset. Many return year after year to enjoy our top quality site and impressive grounds, full of mature plants and trees. Experience a unique Dorset glamping holiday. 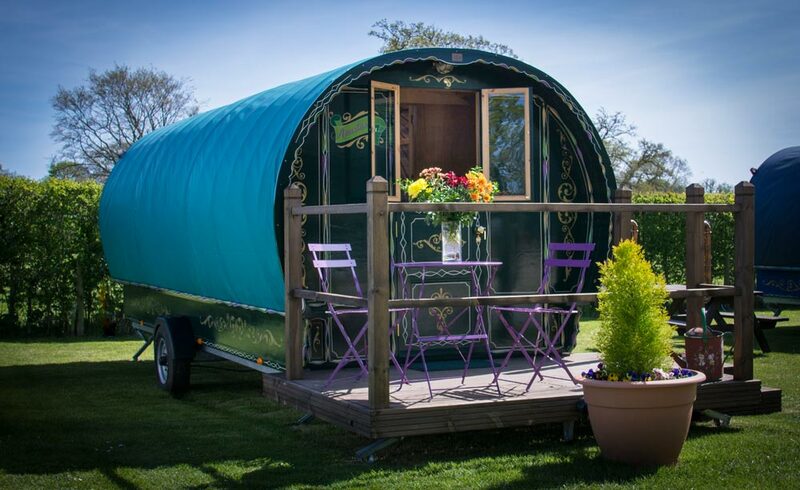 Our idyllic Romany Caravans offer the best of all worlds — cool and open in the summer, warm and cosy in the winter. Fitted to the highest specification, each one is hand built by craftsmen, featuring a full size double and two single beds, insulated oak floor and electric log burner. Copyright © 2016 South Lytchett Manor Caravan & Camping Park, All rights reserved.